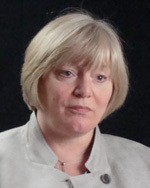 Kathy Best joined the Seattle Times in February 2007 as managing editor for digital news. In March, she became managing editor in charge of content creation, working on stories with reporters, editors, photographers and videographers throughout the newsroom. Before joining the Times, Best was the assistant managing editor for Sunday, national and foreign news at The Sun in Baltimore. She was assistant managing editor/metro at the St. Louis Post–Dispatch and at the Seattle Post–Intelligencer. Kathy Best tells the story of her decision, while at the Seattle PI, to re-investigate a sensational child abuse case in Wenatchee, Wash., after one of her colleagues said, “There’s something not right about this.” Best got flack in her newsroom for the assignment to recheck the story, but it paid off when the truth came out and the arrests were proven unwarranted.